For over 3 decades, Joan Lunden has been a trusted voice in American homes. As the longest running host ever on early morning TV, for nearly two decades Lunden greeted viewers each morning on Good Morning America bringing insight to the day's top stories. Lunden reported from 26 countries, covered 5 presidents and 5 Olympics and kept Americans up to date on how to care for their homes, their families and themselves. An award-winning journalist, bestselling author, motivational speaker, women's health & wellness advocate, and mom of seven - she continues to be one of America's most recognized and trusted personalities. 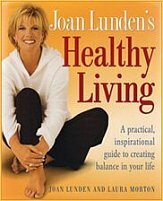 Joan Lunden truly exemplifies today's modern working woman. With her career focused on health, wellness and inspiration, Lunden has continued to be a reassuring and informative presence in American homes for more than 30 years. In June of 2014, Lunden was diagnosed with Triple-Negative Breast Cancer, which required chemotherapy, surgery and radiation. Joan made the decision to take her battle public and has since shared her journey through cancer treatment with the world, becoming a prominent voice in the breast cancer community. Joan Lunden shares her personal experience of breast cancer and what she has learned through her journey about health, fitness and the importance of family, friends and community. She gives the patient's perspective on her treatment from her own personal experience and from what she has heard from the thousands of women who write into her website. Joan includes advice on how to be the CEO of your own health. How To Be the CEO of Your Own Health Joan Lunden speaks on how we need to reform the way we approach the management of our own health, and how we interact with our doctors and medical institutions. Joan gives strategies on how to take charge of your health as well as be a better patient, helping you to live healthier, happier and longer. 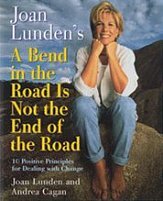 Joan Lunden speaks frequently on the topics of motivation, inspiration and change. Leaving her seat on Good Morning America after two decades, making her the longest-running morning show host ever, Joan had to deal with reinventing herself in front of millions of Americans. Since then, she has faced career and personal life hurdles, overcoming each with new strategies for dealing with life's changes. Joan shares her personal story as well as giving advice on how to be flexible with what life throws your way while maintaining your sense of self. Having interviewed top business tycoons and a myriad of world leaders over her three decades as a journalist, Joan Lunden shares what she has learned throughout her career along with advice from the most successful people in the world and their common traits. Joan shares her personal journey of making it to the top of the tough television news business as well as how she reinvented herself launching her own business based on her focus in women's health and wellness. As one of the most well-known working moms in the country, Joan can also talk about balancing home and family-how to keep your family values while being a successful working woman.